A two week trip to Cape Town for the CCAMLR WG-EMM meeting in August 2008 and there were a few chances for some time with the camera. 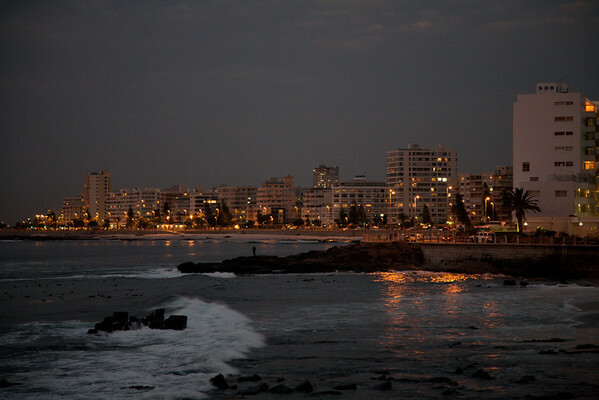 Evening along the Sea Point Promenade. Taken with my Canon 5D and 24-105 mm f/4 at 93 mm. Exposure was 1/8 sec at f/4.0; ISO 1000, EV -1.33.